Well, Sale-a-bration is over. Where will I go? What will I do? 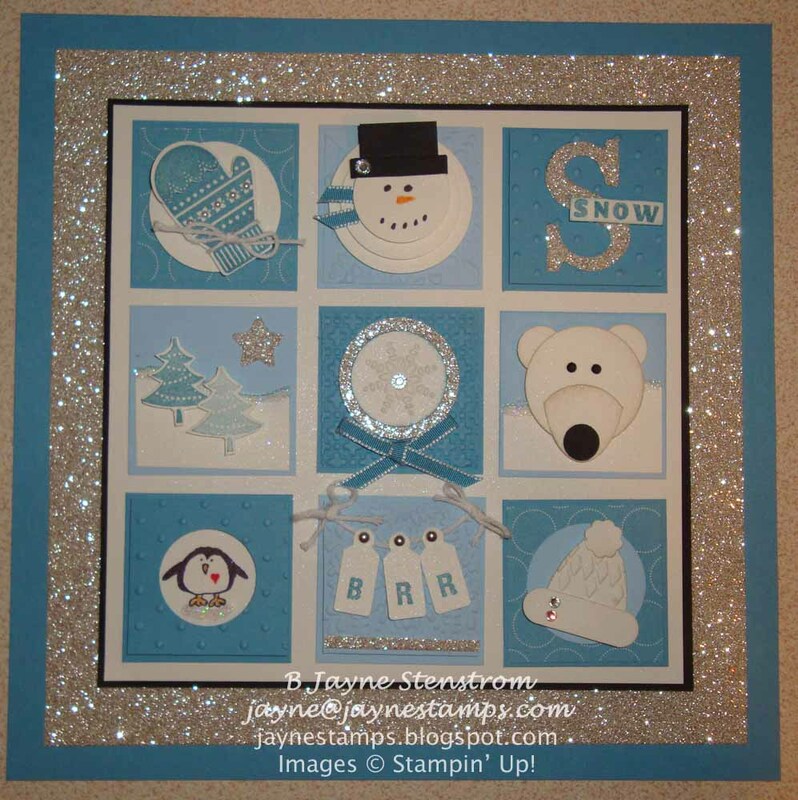 Fortunately, Stampin' Up! has something else for me to look forward to! One is a new "This and That" product line that has lots of fun ideas for the scrapbook-on-the-go. It brings the old-fashioned scrapbook into the hipster age. This kit includes This and That Journal, This and That DSP, This and That Rotary Stamp, This and That Designer Stickers, and This and That Designer Washi Tape. (I'm so excited to try this out!) You can buy the This and That products separately, but why would you do that when you can get all five together and save 15 percent (March 23 - April 30 only). Contact me for more info. Here's a quick video about the "This and That" product line. 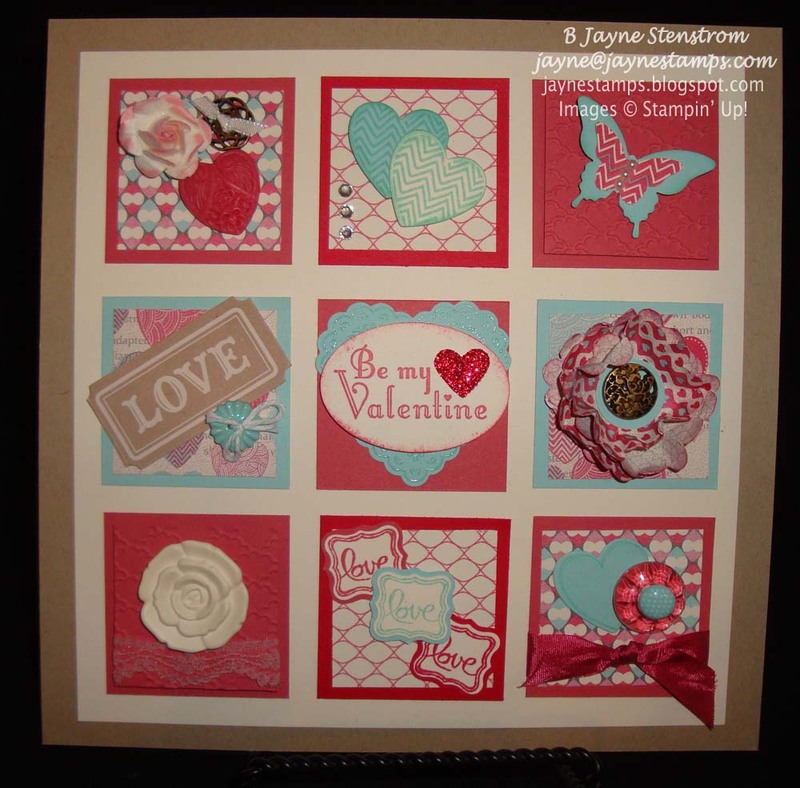 And there's a new stamp set available for you to purchase. It's a early look at something that will be in the new catalog in June. It's called A Round Array. 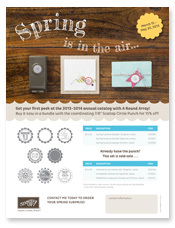 This stamp set coordinates perfectly with the 7/8" Scallop Circle Punch (introduced in the 2013 Spring Catalog). 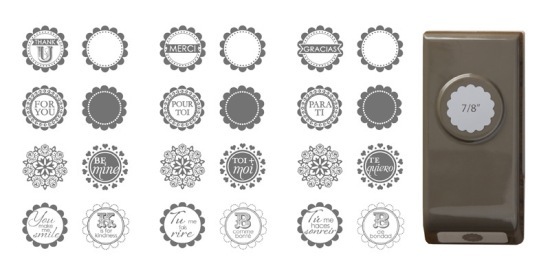 You can purchase this new stamp set in a bundle with the coordinating punch, or you can purchase just the stamp set by itself if you already have the punch. If you purchase the bundle, you will get a 15% discount! But this offer is only good from March 15 - May 30, 2013. So I guess with these new things to look forward to, I'll survive Sale-a-bration being over. I do have a few samples to show you today. 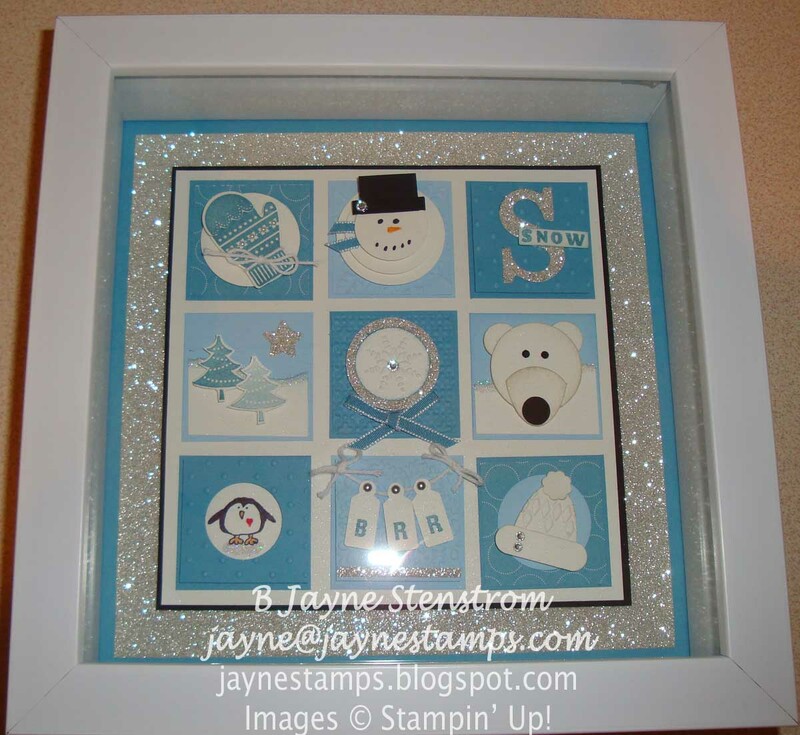 They are two additional inserts for my 8x8" shadowbox frame. I'm a little behind, holiday-wise, in completing these, but I was determined that I was going to get them done. 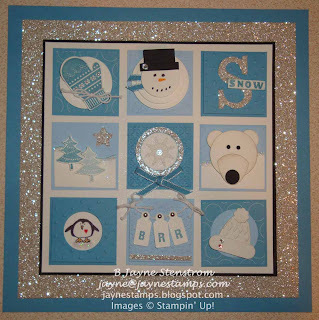 Many of the items used on this are from the Artisan Embellishments Kit in the Spring Catalog. 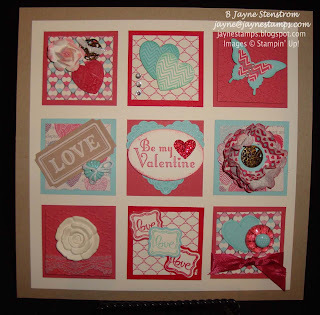 It also uses the More Amore Specialty DSP and the Hearts a Flutter stamp set, along with a few other things here and there. And even though I'm DONE with snow (but it might not be done with us yet! ), I had seen a winter insert for these shadowboxes that I just HAD to make. When my friend Emily came over this week, she thought that this would be a great project to work on. I'm glad she suggested it! Here it is in the frame. I had to take the picture at an angle to try to keep the flash from causing too much distraction. I hope that we will soon be seeing some of this. I think it's high time!